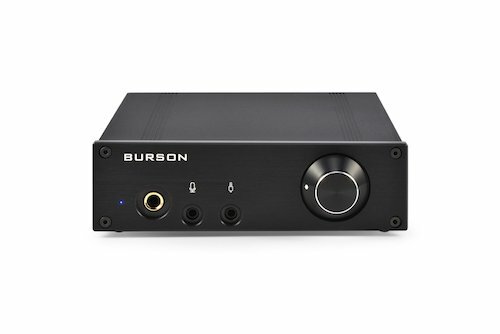 Powered by the Burson Max Current Power Supply (MCPS)，Fun is a dual mono Class-A head amp and preamp with added Microphone input. Outputting 2Wpc @32ohm, it shares the same amplification stage as Burson’s flagship Conductor. Bang is a dual mono Class AB stereo power amplifier outputting [email protected] It is powerful, fast, transparent and very musical. Burson say: “If born earlier, Bang would be big and heavy. Bang would sit proudly on the top shelf of any audio dealership and would have the price tag to reflect its capacity”. Instead, Bang is just 9 inches (23cm) in footprint. This is possible because Bang is powered with 4 sets of Burson MCPS. Again you can have Bang as it comes or change its opamps. Price starts at 499$ USD. Both Bang and Fun begin shipping on the 15th of June.